Nashville, TN has always been a gathering place for artists and musicians. 909 Flats is proud of our citys cultural heritage; thats why this month we want to feature the Frist Center for the Visual Arts on our blog. We encourage all of our residents to visit the Frist this month. 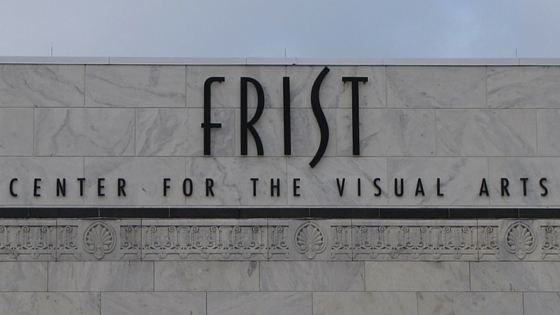 The Frist Center for the Visual Arts states that its vision is to inspire people through art to look at their world in new ways. The Frist has been fostering the education of young artists since it first opened in 2001. Their exhibits change frequently, so if theres something you want to see, make time to see it now! Here are four exhibits the Frist is putting on this month. Inka Essenhigh: Between Worlds May 27  October 9, 2016 Inka Essenhigh is an innovative painter whose fantasy-driven works explore reality through the fluidity of dreams. See Maine and Manhattan twist into dreams in Essenhighs monotypes and paintings in this exhibition. Found Narratives June 10  September 18, 2016 Often, it is the very ordinary objects around us that shape who we are. In this exhibit, artists tell their stories through objects that we might ordinarily throw away. The artists are students from Maplewood High School. This is going to be an amazing exhibit, and we cant wait to see what the students come up with. Bellissima! The Italian Automotive Renaissance, 1945-1975 May 27  October 9, 2016 The Italian automotive industry boomed after World War II as Italian car designers began building sleek models perfect for racing and looking good on the road. This exhibit celebrates Italian design and innovation with 19 cars and 3 motorcycles that changed the automotive world. Women, Art, and Social Change: The Newcomb Pottery Enterprise July 29  November 6, 2016 Newcomb College taught post-Civil War Southern women the artistic skills they needed to thrive in a changed and changing world. This exhibit displays pieces of pottery and jewelry from the colleges storied past. 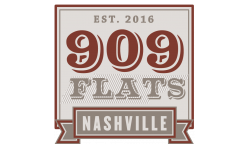 909 Flats hopes that you take time to visit the Frist this summer. We are committed to helping artists; that why we have our own Artist Corner and Resident Art Studio. If youre an aspiring artist, stop on by! You can display your art and get feedback from the other residents. Have you ever been to the Frist? Whats been your favorite exhibit? Let us know in the comments.